Eric Fischl is America’s foremost narrative painter; his paintings hang in the Metropolitan Museum of Art, the Whitney Museum of American Art, the Museum of Modern Art, and in collections throughout the world. He lives with his wife, the acclaimed landscape artist April Gornik, in Sag Harbor on Long Island. "A brave and beautiful book about the difficulties of practicing as a painter in America, and a reminder of how essential the courage of the pursuit of a personal vision is to art." 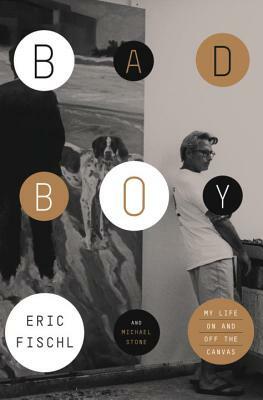 "Eric Fischl’s Bad Boy is a thoughtful, honest, revealing—and frequently moving—memoir of a life in art." "Only an artist of Eric Fisch's intellect, resilience and wit could have survived his dreadful childhood, conquered a nearly fatal addiction to booze and cocaine, salvaged his marriage to the marvelous painter April Gornik, and written this compulsively riveting book."